Instead of my normal weekly digest, I’m going to do two things this week. First, I want to celebrate all of the wonderful guest bloggers who have honored this blog over the past month with their fabulous posts about blogging, and those who will be making a repeat performance or joining us for the first time in September as we celebrate two years of blogging with WordPress.com with a month of non-stop WordPress Tips. Second, I thought I’d use this weekly digest to look back a little at the past two years of Lorelle on WordPress. The two year anniversary of WordPress.com and this blog began with the whole month of August dedicated to blogging about blogging and September will be only WordPress Tips. The response has been amazing. I’ve been so honored by some of the best of the best bloggers out there, some veterans, some new to the blogging stage, all blogging their best on my blog. It’s been a hell of a party and there is still another month to go. Thank you to all for coming to my party and there’s still another month of partying left! To celebrate my two year anniversary blogging on WordPress.com with Lorelle on WordPress, I thought I’d look back at some of the articles I’m most proud of writing. Let me begin by defining “proud”. These may or may not be the articles that got the most attention. In fact, few of them are. They are the articles that I had the most fun writing, most fun researching, and were also the hardest and most painful for me to write. They are the ones that I hoped would change the world, but whether or not they did is up to those who read them, not me. I just published them. I believe it is good to once in a while reach into your blog archives and brag about the posts you enjoyed writing and publishing – not the posts that got the highest score on your blog’s score card. It helps remind you of why you blog. Here are some of my favorites from the past two years. Website Accessibility is Now Getting Serious in the USA: Written in February of 2006, I wanted to address the “big picture” of why you should take accessibility standards seriously on your blogs: You could be sued. Indeed, there have been a variety of law suits against web owners and businesses for not providing accessible websites and blogs in accordance with national and individual country laws for providing access to the disabled. I spent a lot of time researching this issue of great importance to me. 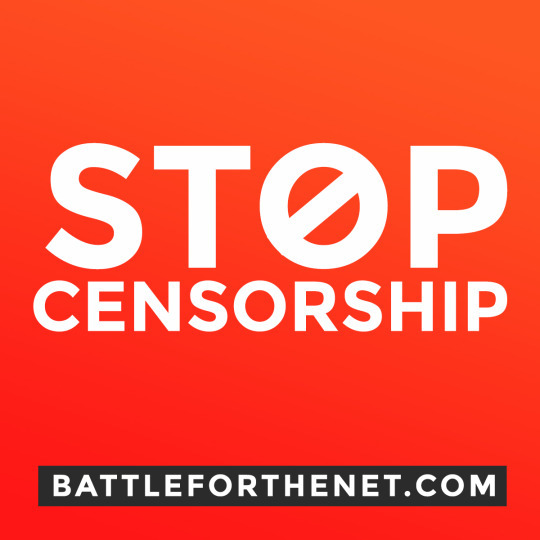 In fact, I’ve long blogged about making the web accessible to everyone, be it the disabled or the person sitting in Africa or Russia using an old computer powered by a generator or solar panel batteries trying to connect via dial-up. I’ve written about disabled bloggers, web design for the colorblind, international web standards and languages, how to create an accessible blog and why you should, asked disabled bloggers to share their stories, the benefits of improved search engine optimization and page ranking that comes with compliance with web standards, and so much more. Assume Everything on the Internet is Copyrighted. Ask First. What Do You Do When Someone Steals Your Content: While this continues to be one of my most popular articles, it was also one of the most terrifying articles for me to write. I’m not a lawyer, though I have a lot of legal experiences (some not so much fun), but the issue of protecting your copyright has long been a favorite and passionate subject for me. With the growing trend in feed-related content theft, it was time to put a name on it and help bloggers fight back. The truth is that your content is your content. You can do whatever you want with it. The most it is published, it’s copyrighted. It doesn’t have to have a copyright notice or license on it. When it’s published, it’s copyrighted. This year saw me take this to a new level with growing trend in content feed theft and scrapers. My new motto is: Assume It’s Copyrighted. Ask First. However, when I wrote this article, I sat on it for a couple months, poking at it and adding a few links, and taking away, then putting sections back in. It’s a scary thing to take a stand on an issue in an environment that promotes “free is good”. When published, the backlash I expected hit, but not with as much vengeance as I anticipated. First, the “word perfect” folks attacked me for my use of the word “theft”. They claimed that copyright violation and unauthorized use of intellectual property were not “theft”. In my dictionary, when you take something that isn’t yours, without permission, it’s theft. 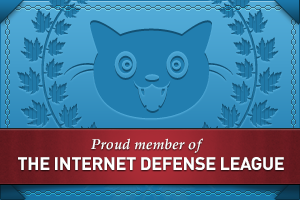 I’m not a lawyer, so I didn’t have to adhere to legal terms and definition on my blog. Theft is theft, and I’m thrilled that the term “content theft” is now used to define such abuse. The true issue comes in control of the copyright. If you want your blog content to be open to everyone to use or abuse as they see fit, then label your content accordingly. If you don’t, then label it so the users will know what they can and cannot do. If you don’t have a good copyright policy that defines usage, including Fair Use, then it’s harder to stop the abusers. I’m very proud of how much this article continues to change the way people think about the content published on their blogs and how they “copy” other people’s content. I’m so honored by how many people continue to thank me weekly for providing such valuable information to help them fight back when someone takes their content and uses it without permission to make money that the original author will never see nor benefit from. Can You Visualize the Web? : While done to help my mother “see” what the web looks like, in the two years since I wrote this, I still enjoy looking at this article. I should probably update it or do a sequel as the pictures provided two years ago have dramatically changed, I’m sure, as the web has grown so dramatically. It’s hard to put a picture on what the web looks like, and I’m so impressed by those who come up with visual graphics, representations, and math formulas that help us to visual the web. These are works of art in and of themselves. How NOT to Comment on Comments: This article was written in a mad rant, and yet became a powerful message for many on the power of comments as well as how not to comment in comments. In the past year, I’m thrilled that so many have gotten the point that comments are content, and I’ve seen a dramatic improvement in commenting on blogs ever since. I rarely rant on this blog. I don’t rant and hit publish. 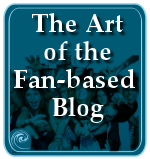 This blog is too important for me to be that careless and thoughtless. When I do rant, I hold the post back for several days or even weeks, really looking for the elements of truth and intent in the rant. Ranting is a skill, as I explained in If You Can’t Say Anything Nice, Come Blog By Me on the Blog Herald. I’m not very good at it, and it’s risky for me, but still, I’ve had my share of rants. Some rants in the past included The Rant Against Multiple Page Posts, Do You Get to The Point or Ramble to the Point In Your Blog?, Blogging Prejudice: Aren’t We Past This Yet?, Learning Lessons from The Planet Blog, Silence is a Memoriam, Not a Reason to Stop Blogging, Changing Blogging Programs Won’t Stop Comment Spam, How Not to Blog in a Blogathon Blog, and Blogging on the Edge: Blogging NOT From My Computer. Oh, I’ve also blogged about Family Holiday Time – Would You Fix My Computer?, the agony of spending holiday time with your family bent over an old computer. Okay, it looks like I’ve ranted a lot. But compare this to about 1500 blog posts in two years, the percentage is minuscule. I have, however, spent a lot of time ranting and otherwise on comment spam and how to comment, including Editing Your Blog Comments and Mean Spirited Comments and Blogging, two other articles that were important for me to write as they tackled a subject that no one was talking about at the time, how comments can make or break a blogger’s spirit. I’m proud that I was one of the first to bring the issue to light. Tips for Writing Good WordPress Tips: Every once in a while, I feel compelled to smack some WordPress fans up against the head. I did some first in WordPress Theme Designers: Slapping You Upside the Head, then later in A Love Letter to WordPress Plugin Authors, which made me really nervous, but the telling had to be told. Too many WordPress users were suffering from poor and inadequately coded WordPress Themes and badly written WordPress Plugin documentation. Someone had to speak out for them. In Tips for Writing Good WordPress Tips, I finally gave in to my frustration digging into the web for good articles on WordPress tips. So many I found were not just poorly written, and written by someone who thinks their readers are mind readers, but some of the errors were so simple to fix. Like spell WordPress and Plugins right, not as WordPress, word press, wrodprez, or plug-in. If you don’t spell it right, how can anyone find your WordPress tips? Hopefully, more WordPress developers, designers, and coders will find these articles and get the point. I’m looking out for all WordPress bloggers, not just my own self interest. Writing Effective, Attention-Getting Headlines and Titles on Your Blog: Another article that took a long time to write was the two part series on writing effective blog titles and the technical side of making those post titles work for you in WordPress. And yet, bloggers continue to persist in writing titles like “I like this idea”, “Links for 08-26-07”, and “You Should Have Been There”. Maybe it’s time for another kick-in-the-head reminder post on the subject of writing titles with keywords and search terms, explaining what the post is about and not trusting potential readers can read your mind. 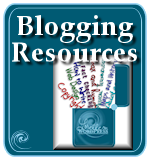 Blogging Rants: Tangential Blogging Can Lose Readers: I took a big risk when I first brought up the issue of tangential blogging. I was nervous that personal bloggers, those who blog about their daily lives, would be offended. Luckily, my point was made and well received by those who understood that I was talking about those who tell the world they blog about one thing, and then keep bringing up unrelated, and often too personal, subjects, which bothers readers and can drive them away. When you set a specific format in your blog’s style and content, you establish a reputation for being an expert on that subject. When you run off on a tangent totally unrelated to that format, it can disappoint readers. By making a clear plan for your blog, with a strong purpose, you can stay on track and keep your readers happy, and keep you focused on your blogging path. How To Know When To Stop Blogging? How to Know When to Stop Blogging and When the Burden of Support is Too Great: I’ve been so deeply saddened over the years of watching great bloggers and program developers decide to stop their work and do something else. I’ve seen brilliant writers and coders get burned out and up for so many reasons, often at the drop of a nasty-placed comment or blog post. Others, just overworked, losing their enthusiasm and interest. Burn out can happen to anyone, so I wrote these articles as a reminder that we need to take care and protect our spirits when blogging and working online, or anywhere. Most importantly, I wrote of how you should not announce to the world that you are stopping blogging. Take a break. Take a vacation. Do something else for a while. Then come back and see if you can find the enthusiasm you once had. Don’t burn your bridges. Your passion is still wanted and needed, so take care of yourself first, and we’ll still be here when you get back. Do-It-Yourself Search Engine Optimization Guide: Another post that started off with a rant against idiots who want to charge you for improving your page rank and SEO, this article continues to get a lot of attention as a great way to help yourself and your blog for free. This is another one that I fretted over, since SEO was being covered by so many, but so many so badly, and even I had covered the topic extensively. But I wanted to put all the great SEO tips in one place so someone could print the article out and then go through it like a checklist. It seems to be working that way, continuing to help so many over the years. Another little rant of mine was in discovering that some where charging for WordPress, adding on little useless things to give it more “value”. With the WordPress Codex, my blog, and so much information out there for FREE, why should you pay for something that’s free! I get so tired of rip-off and con artists trying to make money from gullible folks. I hope you are not one. The Power of the Link: Written two years ago, this article continues to be one I’m very proud of. Little did I realize that the “power of the link” would become even more important with the new Google Blog PageRank algorithm! Without the link, the web is nothing. Without links, blogs are nothing. We need that connection between our blog posts, other blogs, and information around the web to fuel our blogs. Links create relationships. They build trust. And links build reputations. 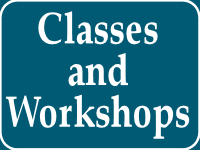 In my workshops and programs, I frequently tell participants that there is no other business like the blog business. What other business gets you more business by driving away customers? You put a link on your blog to tell your visitors to leave and go somewhere else, and they go, then come back for more, often bringing their friends with them. What a business! Selling Your Blog: What Are Buyers Looking For and Selling Your Blog: What Goes Into the Selling Price: I’ve written a number of articles I’ve proud of on the Blog Herald, but these two were ones that I worked extremely hard on researching and writing, and published with a lot of trepidation. And yet, I learned so much about the value and purpose of my own blogs in the process, it was amazing! The journey Aaron Brazell of Technosailor took when he decided to sell his blog gave me the gift of incentive to blog about the idea of what it takes to sell your blog. His sale was unsuccessful, and I followed up with it in the article about determining a selling price for your blog. The most important thing I learned in the process is that your blog is you and you are your blog, if you are the only one blogging. 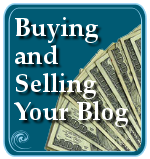 So, how do you put a value on your blog in the marketplace, when you are your blog? I love writing articles in series, and I wish it was easier to do technically on WordPress blogs, but still, I’ve done some article series that I’m really proud of, both here and on the Blog Herald. Wow! It’s been quite a two year ride. From the early days with bugs in WordPress.com, some which took a while to fix, to see it grow to a stable version with over one million blogs in these past two years – wow! I’ve been very honored to be one of the first to blog on WordPress.com, with my reports on the problems and improvements helping make WordPress.com a stronger, free blogging service for so many. And I’ve been very honored to have so many of you along for the ride as I babble on about blogging and WordPress. I never thought anyone would ever notice this blog, and I’m so thrilled that so many do. But I blog for you only, the one reader reading this now, the one reader who found my words helpful in some small way, helping you to blog better and use WordPress with ease. To you I owe all my thanks, love, and joy! 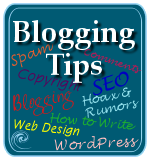 This entry was written by Lorelle VanFossen and posted on August 27, 2007 at 9:36 pm and filed under Weekly Digest, WordPress with tags how to use wordpress, wordpress, wordpress help, WordPress News, WordPress Tips, wordpress tutorials. Bookmark the permalink. Follow any comments here with the RSS feed for this post. Post a comment or leave a trackback: Trackback URL. Well done great blog and great posts!!! Very impressive and informative blogs. Good work and keep it up. Cool blog, thanks. I wish you will post more about wordpress wingets. Wingets? I think you mean Widgets. 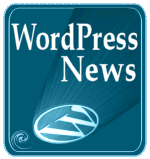 There several blogs which specialize in WordPress Widgets, including WordPress Widgets, though I’m not sure how often it is updated lately. A WordPress Widget is a Plugin, and I cover them in that form, so don’t let the two confuse you. Many WordPress Plugins are available as Widgets. But this list really great!